Tasked with conducting a feasibility study for a bourse in Laos, the KRX apparently couldn’t resist a little copy and paste. Plagiarism has emerged a tremendous plague of the digital age. From high school to the media industry, universities and the corporate world, the ease of copying has found its way into courtrooms around the world and led to the expulsion of many a scholarly cheat. 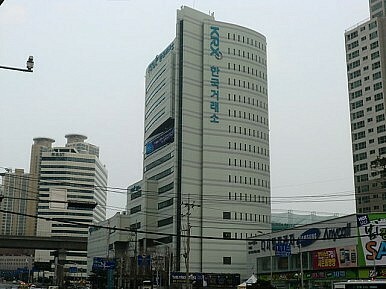 In South Korea this has been taken a tad further, and the Korea Exchange (KRX), which was tasked with conducting a feasibility study for a joint venture to forge the Laos Securities Exchange (LSX), stands accused of plagiarizing a report covering a similar topic for Cambodia. Lee Sang-kyu, a politician with the Unified Progressive Party (UPP) said the report was written in March 2008, outlining plans for establishing a stock market in Laos, which now has just three companies listed, and 20 pages were copied from an outsourced report about the Cambodian Securities Exchange, which has just two companies listed. He said only country names were changed and some extra paragraphs were added to the now controversial 90-page document. “The overview of the industry, economy and politics of Laos at the front of the report was copied from the Laos Embassy as well,” Business Korea quoted him as saying. Few would expect any embassy to offer independent and objective information on its own. Still, he said, the report had cost about $16,200 and was a precursor to a further $12 million being spent by the South Koreans on the LSX. The KRX has a 49 percent stake in the LSX and also holds 45 percent of the Cambodian exchange. The investments have to date been markedly unprofitable. The copying was apparently picked up during a routine annual inspection of reports by politicians when it was discovered that pages 71 to 90 were the same as the feasibility study for the Cambodian bourse, which opened in July 2011, six months after the LSX began trading. A spokesman for the KRX was at pains to explain that Laos and Cambodia shared “similar political and economic conditions” and it was because of that the reports were similar. The spokesman added that a longer term perspective was needed with short-term losses expected. Many observers would beg to differ. Laos has been a one-party communist state since 1975 held together by a central, state-planned economy that strictly forbids press freedom or a separation of powers between government and other arms of state. Cambodia is far from perfect, subject to political interference and crony capitalism, particularly in regards to the independence of the judiciary, but its laissez-faire economy is a product of a pluralistic democratic society. Elections have been held every five years since 1993. South Korean businessmen enjoy a somewhat buccaneering reputation in Southeast Asia, highlighted by spectacular bankruptcies and half-finished projects that dot the urban landscape in cities like Phnom Penh. Korean diplomats have been known to quietly express their reservations about some of their businessmen and their questionable practices. Now those criticisms will be extended to plagiarism with questions to be asked, like who decided that Cambodia was a fiscal role-model, a benchmark for establishing stock markets in a communist country? The KRX, with a market capitalization of around $1.1 trillion, is unlikely to be hurt by the losses, but it should still ask for its money back. A closer look at a disturbing trend.